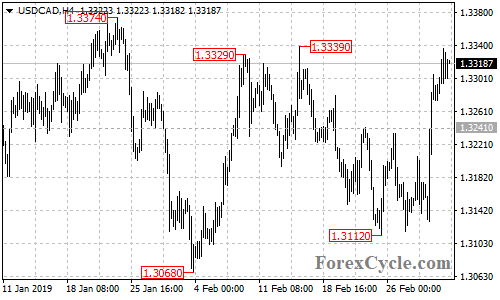 USD/CAD broke above 1.3241 resistance and extended its upside movement from 1.3112 to as high as 1.3337. Further rise could be expected in a couple of days and next target would be at 1.3450 area. Support is now at 1.3270, a breakdown below this level could bring the price back to 1.3240 area.